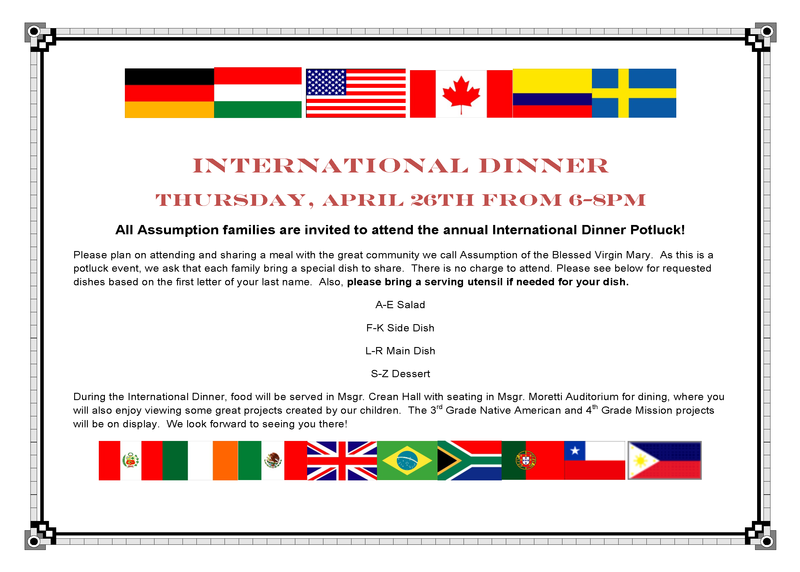 All Assumption families are invited to attend the annual International Dinner Potluck! dishes based on the first letter of your last name. Also, please bring a serving utensil if needed for your dish. will also enjoy viewing some great projects created by our children. will be on display. We look forward to seeing you there!